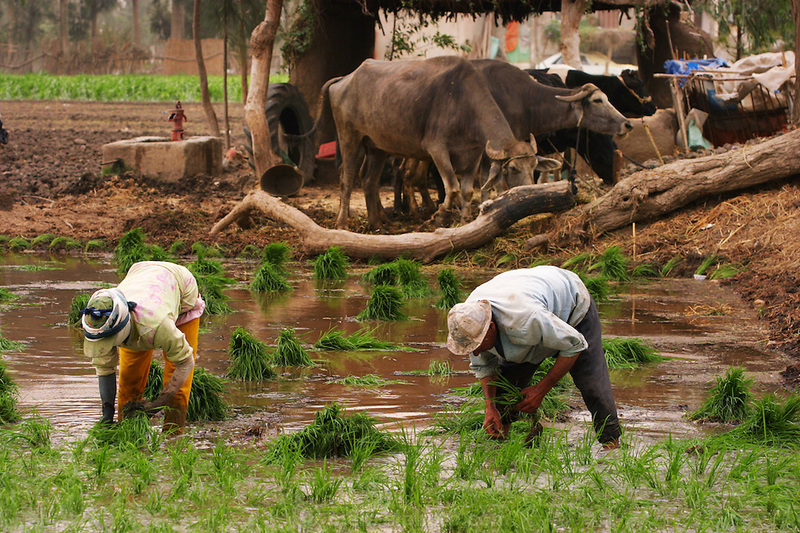 Planting rice near Alexandria, Egypt. Water buffalo tethered nearby. (Supporting image from the project Hungry Planet: What the World Eats. ).